Below are a few resources that you can use at your disposal to help with teaching this common core standard.... I would love to hear from you if you have any other resources you use to teach this standard. Please comment with a link to your resource should you like to share. 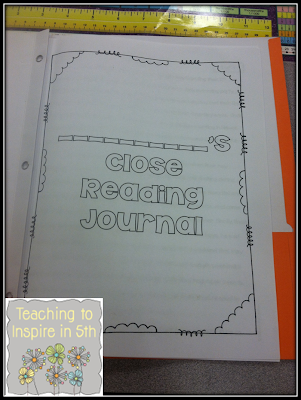 This close reading journal is a wonderful example of how to meet this common core standard.